Today I have a case study for you that I think you will totally love. My special guest is Mel Judson, who quit her day job last year, went full-time freelance, packed one suitcase and moved to Bali. Mel is a student in my course, Organize & Automate, and she used that course to help her set up a premium client experience so that she could feel confident charging premium prices and earn enough money to take her business full-time. Yes, she has made her dream a total reality! I’m honoured that I’ve been able to help her with my course and I’m now even more honoured to share our conversation, where she shares her tips on how you can quit your job, start your full-time web design business, and start living the life that you crave. Mel Judson is a brand & web designer doing things differently. Currently living the digital nomad life in Bali, she empowers female entrepreneurs around the world to grow their businesses and change lives through authentic and sparkly websites and branding. 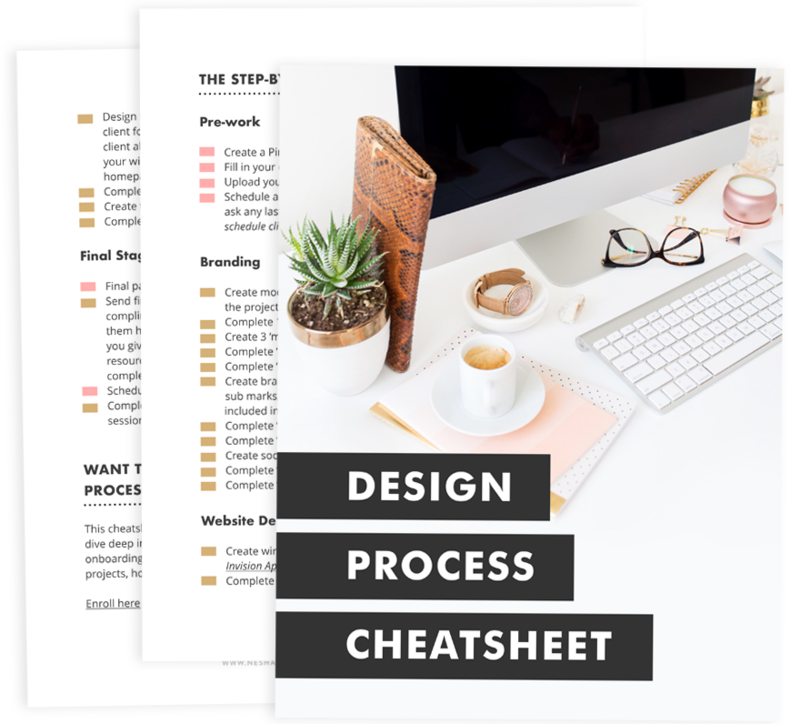 Her signature branding and web design framework employs a holistic approach built upon the belief that your website is your ticket to freedom and the process of building your businesses online should spark joy, not stress. Another one of my Organize & Automate course students, Alarice Stuart, used my course to streamline her business so she could run it and travel without burning out. She now lives in Bali and she has created an ebook to teach YOU how to live and run your business in Bali, too! Click here learn more & get it. Use the code NESHA20 to get 20% off.